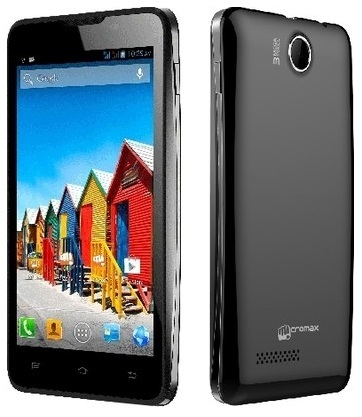 There is no stopping Micromax as the company is ready to introduce another Android smartphone in the market. We just saw the Micromax Canvas A115 3D leak earlier today and now the Micromax A72 Canvas Viva has appeared on Flipkart. The Micromax A72 Canvas Viva seems could be a super-cheap Phablet going by the low specs the device packs in and will make Micromax price the 5-inch smartphone under the sub-Rs.6000 category. The 5-inch Capacitive display of the Micromax A72 Canvas Viva will sport a resolution of 800 x 480 pixel while being powered by a single core 1 GHz processor which will be coupled with 256 MB of RAM while the internal memory is pegged at 110 MB which will be expandable using a microSD card. The Micromax A72 Canvas Viva will run on the Android 2.3 Gingerbread OS and have a 3 MP camera on the back. A VGA front facing camera will be included in the smartphone and a 2000 mAh battery will power the device. Overall, the device does not impress much but will be a great buy for people looking for an entry level Android smartphone.